The early October wind was from the perfect direction for me to hunt a new stand that I had placed the summer before. I wasn’t sure what to expect from this new location but sitting in a tree and watching Mother Nature’s show was always worthwhile. Back in May I had planted 15 acres of native warm season grasses in three separate tracts on this property. These grass fields now stood 8’ tall and appeared to offer the local deer a prime bedding area. 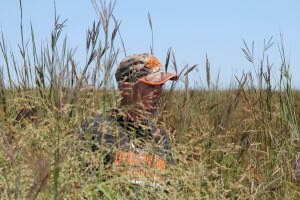 The stand I was hunting was situated right in the corner of an 8 acre field of these grasses. The birds-eye view offered by my treestand gave me the perfect chance to see the entire field and gauge how well the whitetails were receiving their new bedroom. After settling into the stand I started glassing the field with my Vortex optics, looking for any bedded whitetails. Within minutes I had spotted the antlers of a buck bedded only 50 yards from my stand. His rack blended perfectly with the tall grass but my elevated position allowed me to catch the movement of his rack as he swiveled his head. By the time darkness ended my hunt I watched 8 different bucks rise to their feet and exit the bedding cover as they made their way to feed in nearby fields. Although none of the bucks were old enough to interest me, I was impressed to say the least. Just six months before this field was nothing but cornstalks and now it was such prime whitetail bedding cover that it held 1 buck per acre! While I have not been fortunate enough to have a huge tract of land to manage whitetails and create habitat, I have been blessed with 120 acres of my own to work with which has taught me a lot of valuable lessons. 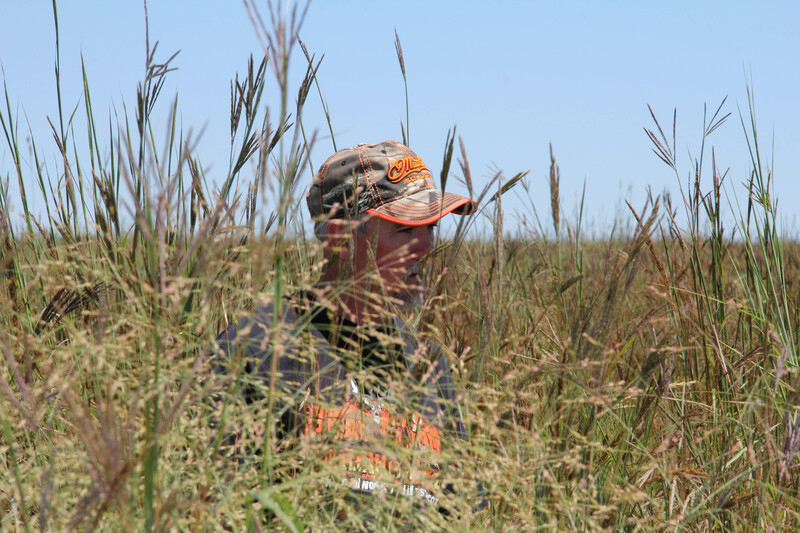 In recent years I have been able to share many of these lessons with the readers, as well as the clients who hire me to come to their property to improve the habitat and advise them on hunting whitetails on their land. On some of these land consultation visits I have had the experience of visiting after other consultants had already visited and made recommendations and in every case the landowner has already implemented habitat improvements on some level. I have seen firsthand where both novices and experts have placed emphasis and what they have ignored in their quest to create prime whitetail habitat and hunting opportunities. Quality bedding cover is far and away the most important thing that any whitetail enthusiast can provide on their property. Think about it for a minute; where does a mature buck spend the greatest percentage of his daylight hours? I will give you a hint, it isn’t in the middle of a food plot! A mature buck demands security and he will go as far as necessary to find it. It is nothing for a buck to wait in his sanctuary until dark and then walk 2 miles cross-country to a prime feeding location. He will leave huge tracks, rubs, scrapes and other sign near the feeding area that will increase the pulse of any hunter on the property. Come daylight however the maker of all that heart-stopping sign will be settled into his safe haven, far from the hunter who is waiting in his stand near the food plot just knowing that it is only a matter of time before Mr Big walks by. Through my articles I continually stress that in order to kill a mature buck you have to hunt him where he spends his daylight hours. Prime bedding cover has two requirements; it has to be thick and it has to be secure. Security simply means free of disturbances. It is easy to keep an area free of human disturbances by simply making it off-limits to human traffic or intrusions. Other disturbances such as free roaming dogs can be tougher to control. None-the-less, every hunting property needs a sanctuary area set aside that is free from disturbances, human or otherwise. An area can have the ideal vegetative cover for a bedding area but without security it is far less appealing to whitetails and especially mature bucks. To get mature bucks bedding on a particular property with any regularity will require thick cover. If you are fortunate enough to already have thick cover on the land you own or manage you can probably achieve the desired results by simply making the thick area off limits to human intrusion. It is more likely that you will have to create or at least improve the cover on your property to make it ideal for mature whitetail bucks. This is not a bad thing as creating the thick bedding cover will allow you to determine exactly where it is located on your property and lay it out in such a way that your hunting opportunities are maximized. There are a number of ways to create thick bedding cover. I mentioned the planting of native warm season grasses at the beginning of this article. There is no faster way to get almost instant results. You can literally reap the rewards of a new prime bedding area during the first hunting season after the grasses are planted. To do this you will need an open area such as a field to get a good stand of these grasses. Several grass species such as Indian Grass, Big Bluestem and Switchgrass are all candidates for these plantings. One word of caution should be mentioned however; there are multiple varieties of each of these species and all varieties are not created equal. Some will lay flat in the winter months once they are subject to snow or high winds. Other varieties are much more tolerable to these conditions and have superior “standability”. Needless to say, a field of grasses laying flat to the ground is not going to offer much security for bedding whitetails. Establishing these grasses can be a bit difficult if proper steps aren’t followed. I highly recommend that the field to be planted to be sprayed with a combination of glyphosate and Plateau herbicides. The glyphosate will kill any weeds which are already growing and the Plateau is a residual herbicide created specifically for these native grass plantings to cut down on later weed competition. Planting should be done in mid to late May and can be done right after the herbicide has been applied. If possible use a no-till drill specially designed for warm season grasses. These seeds are very difficult to plant with a conventional planter and even broadcast seeding can be difficult although not entirely impossible. Seed depth is very critical and should be ¼”. When broadcast seeding is used it is recommended that the seeding rate be increased 1 ½ to 2 times the recommended rate to make up for seed that is not at the proper depth. Use a cultipacker or a light drag after a broadcast planting to ensure the seed gets good soil contact. Once a warm season grass field is established it will last forever as long as it gets maintained properly. The very best way to maintain these plantings is by burning the field every couple of years during early spring. Burning a warm season grass field will not only stimulate these grasses but will also burn weed seeds and woody sprouts which are competing with the grasses. When planting these fields keep in mind that they will need to be burned. For example, planting firebreaks of clover around edges which may cause problems when the field is burned is a good idea.